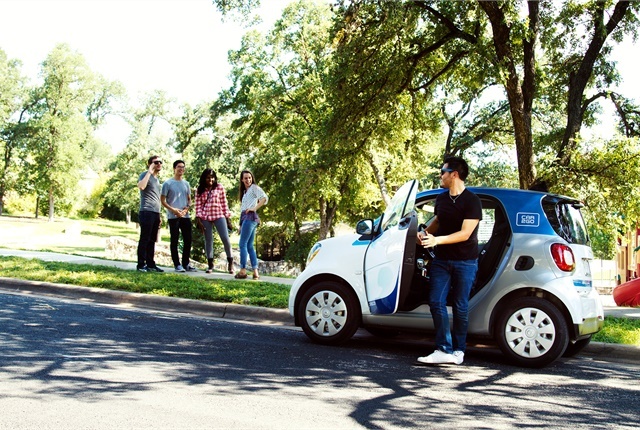 car2go has published a white paper showcasing the five main reasons why electric carsharing plays a central role in the development of electric mobility. "Fully electric carsharing is an optimal test environment for electric cars," said car2go CEO Olivier Reppert at the Future Mobility Summit in Berlin. "The technology is subjected to maximum strain and proves its suitability for everyday use under real conditions. The valuable knowledge gained on a day-to-day basis is of benefit not only to vehicle manufacturers, but also for the 'overall system of electric mobility' including electricity providers, network operators, battery manufacturers, research institutions, cities and, of course, the users." "We are convinced that the future of carsharing is electric, which is why we are promoting its systematic development," added Reppert. "Fully electric carsharing fleets further strengthen the already positive effects of carsharing, for example the improved air quality in metropolitan areas. Additionally, we help cities solve the chicken-and-egg problem incurred with the charging infrastructure. Hence, we make a significant contribution towards the further promotion of electric mobility as a whole." car2go operates purely electric carsharing fleets in three locations (Stuttgart, Amsterdam, and Madrid) with a total of 1,400 vehicles that are used by 365,000 customers. An additional 400 electric cars will be introduced by the end of 2019 in Hamburg, according to the company.